"Find a job that you love and you'll never have to work a day in your life." I began my career as Associate Editor in the Food Appliance Department for Good Housekeeping Magazine. In addition to writing articles, developing recipes and food styling, we put everything from garlic presses to cookware to refrigerators through rigorous testing to see if they were worthy of the Good Housekeeping Seal. I gained expertise not only with food, but with food equipment of all kinds. And, I hold Good Housekeeping solely responsible for the food gadget obsession that I still have today! Next I spent 13 years with Unilever where I managed the North American Test Kitchen. During my time there, the company grew to over 20 food brands (think Ragu, Bertolli, Hellmann's, Knorr, Wish-Bone, to name a few). This was truly, a foodies dream job, as I was involved with all aspects of product development and contributed to the launch of many successful food products. Additionally, I contributed to design and content for culinary websites, supervised countless food photo shoots and oversaw the development of literally thousands of consumer recipes. And there was so much more. This was a job where I truly learned something new every day. 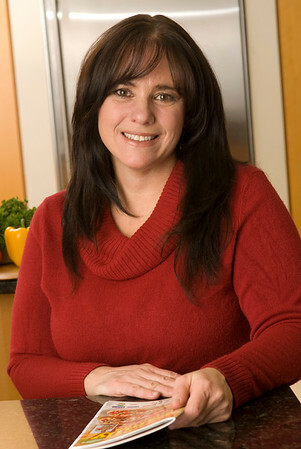 In 2011 I embarked on my own, as a food blogger and consultant for the food industry. I am able to take the culmination of all of these experiences and bring that expertise to my projects and my clients.